The ZTE Blade X Max is a superb phone with an incredible battery that students and professionals will love. Oh, and it is a 6-inch large phone but without the large price tag! Let’s start with the obvious – the size. The phone is a 6” TFT full HD display phone measuring in at 6.50″ x 3.27″ x 0.37″. I enjoy the large display as the screen real-estate makes it perfect for those spreadsheets where I get to see more info on the screen without the constant scrolling back and forth. 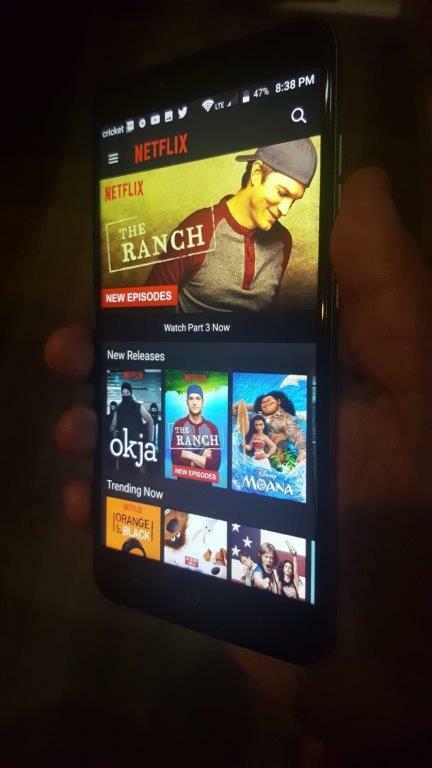 Of course, when watching Netflix and YouTube, you get a richer experience. 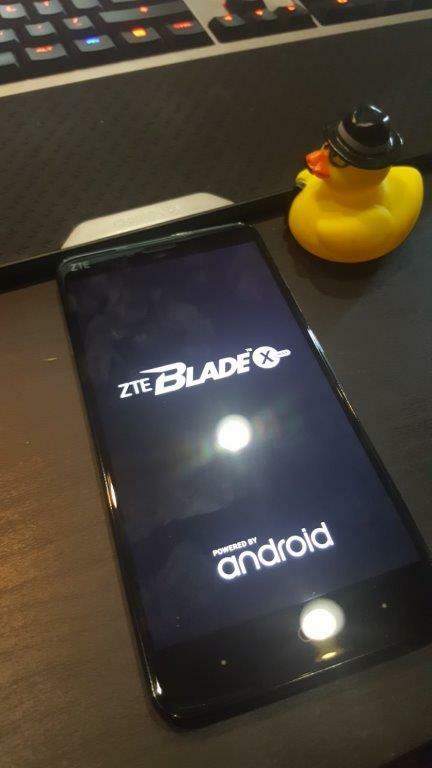 The ZTE Blade X Max has Dolby Audio™ which enhances music, gaming and movie consumption. Using the phone in direct Texas sunlight is not a problem at all as the app icons are still highly visible and the text is readable. Even at strange angles, the screen is clearly visible which is a pleasure when the kids are gathered around the screen watching their favorite YouTuber. The Blade X Max feel premium. It doesn’t creak or bend and isn’t squeezable which gives you the confidence that you are holding a nice quality device. On the right of the device, you will find the volume up/down button and the power buttons which are placed towards the top of the phone. This is convenient as on the back of the Blade X Max is the finger sensor used to unlock the phone. 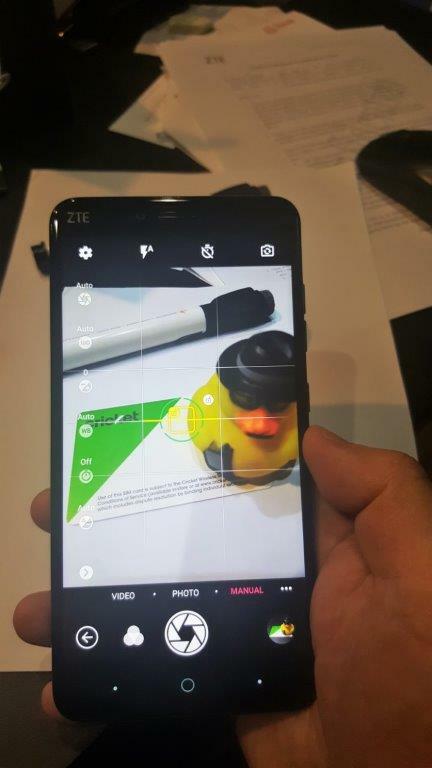 Yes, this phone has a finger scanner which is quick and accurate! On the left of the device is the SIM card slot and the MicroSD slot. The Blade X Max has 32 GB of internal storage and with the MicroSD can be expanded up to 128GB of storage. The Blade X Max runs Android 7.1.1 operating system and is simple to use even if you have never used an Android device before. As this is Android, there are some real customizations you can do – unlike other operating systems (looking at you Apple). If you are used to the back button being on the right – no problem as you can swap the Android default navigation buttons around. You can customize the Display size and the Font size. People who wear eyeglasses really like this feature. Enabling Google Voice assistance is a real pleasure on this phone. 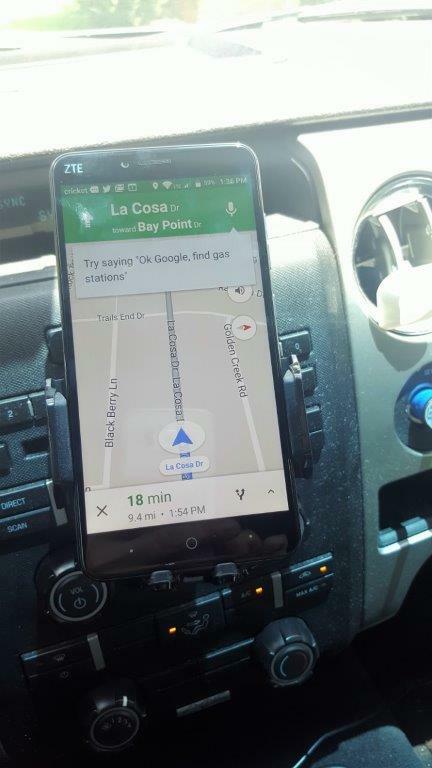 Doing Google searches by merely saying “Ok Google” is simple and accurate and using voice commands for navigation on Google Maps is a treat and that large screen makes navigation experience just perfect. Email, Twitter, Instagram, Facebook, Pandora, Netflix and other “usual suspects” of apps had no problems running on the Blade X Max and at no time did I have to reboot the phone or force an app to close. Being a tech-savvy smartphone user don`t forget to be one step ahead of everyone as you can also access your android apps remotely on any device with hosted citrix vdi from CloudDesktopOnline by loading Bluestacks on it. You can also access your complete MS Office suite on the same vdi with O365CloudExperts powered with 24*7 tech-support by Apps4Rent.com. I was expecting that because of its screen size, the battery would drain by midday. I was wrong. The phone has 3400 mAh battery which is non-removable and the software managing the battery does a really superb job. By the end of a full day, I was left with 25% – 35% of battery power. Of course when working the phone hard by watching back to back 2 hour movies, with the GPS and WiFi enabled and mapping running in the background, and the phone’s Bluetooth connected to the car, then the phone battery drains much quicker, but for everyday normal usage, this is more than just fine – it’s a pleasure not having to worry about cables and power banks. The Blade X Max has a 13 MP rear-facing camera and a 5MP front-facing camera. These are both adequate for social media usage and some video conf time with family. During daylight and nice sunny conditions, the camera snaps some really nice shots. The camera does struggle during low light conditions. Leaving it on Automatic mode didn’t always get the best results but the camera software does have a Manual Mode. Now, this is where you can play with the ISO, Shutter Speed, White Balance and Focus. So with a bit of manipulation, you can get a decent shot when you play with these settings. If you are in the market for a large phone, with a battery that will last, have a superb mobile experience, and NOT pay a fortune for the pleasure – then the Blade X Max should definitely be on your list. You will enjoy having the device with you wherever you happen to be on the Cricket Wireless network. 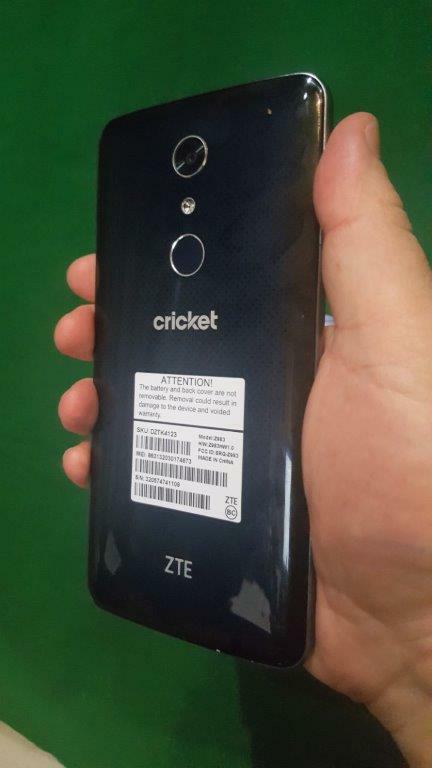 The ZTE Blade X Max is available on Cricket Wireless currently at $149.99 if you get a new number or upgrade or at $99.99 if you bring your number. Amazing price! Note: The review unit was provided for this blog post. All opinions are 100% my own from my own testing. « Did you know that sad music can enhance your driving mood? I just got mine and I’m seriously in love I switched to apple a year ago and couldn’t take it any longer Def recommend this phone!